Listed below are my publications relevant to this website. Diana Paton, The Cultural Politics of Obeah: Religion, Colonialism and Modernity in the Caribbean World (Cambridge: Cambridge University Press, 2015). Diana Paton ‘Witchcraft, Poison, Law and Atlantic Slavery‘, William and Mary Quarterly 69, 2 (2012): 235-264. If you don’t have access through an institutional subscription, you can use the JSTOR ‘register and read’ facility to read this online. 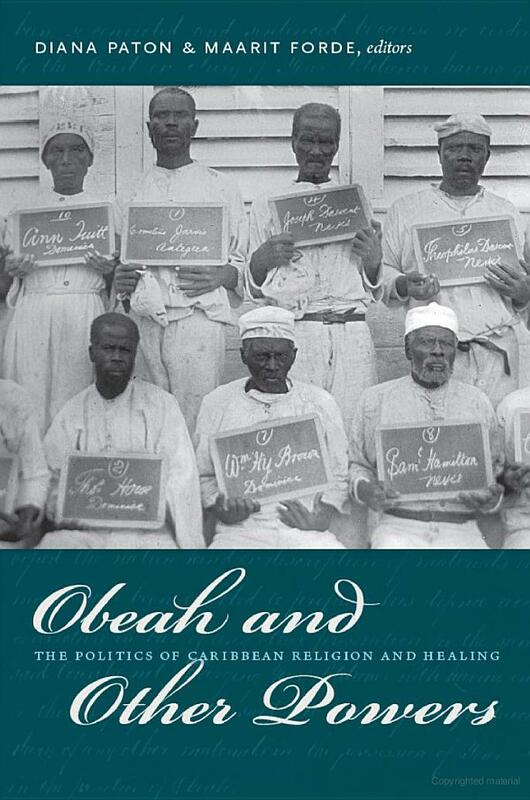 Diana Paton and Maarit Forde, eds., Obeah and Other Powers: The Politics of Caribbean Religion and Healing (Durham: Duke University Press, 2012). Read the introduction. Diana Paton, ‘The Afterlives of Three-Fingered Jack’ in Slavery and the Culture of Abolition: Essays Marking the British Abolition Act of 1807, ed. Peter J. Kitson and Brycchan Carey (Woodbridge, Suffolk: Boydell and Brewer, 2007). ‘Histories of Three-Fingered Jack: A Bibliography‘, online at Brycchan Carey’s website, Slavery, Abolition and Emancipation (2008). There are also many other fine studies of obeah and of Caribbean religion, too many to list here. I am a Caribbean Major student at the University of Toronto in Canada. I am also fascinated in this topic. I am currently working on several articles regarding the court cases of enslaved Africans who were tried and convicted during the 19th c. in the Caribbean. Keep up the good work and looking forward to reading more. Thanks for your comment! I’m glad you found the site useful. Good luck with your work. Thanks for your work. It is so rare to find mention of the British Virgin Islands in significant Caribbean history and culture publications. Was Isaac Williams one of the eleven in the Antigua Jail photo? I find his Santo Domingo connection interesting. What can you tell us about him?